Hiring a new employee is expensive. Replacing a former employee with someone of equal qualifications is even more costly. Statistics range from $4000 to over $9000 on average, according to the Small Business Chronicle. For those companies in specialized industries such as IT or the medical field, the costs are astronomical. In fact, one estimate showed that to replace a nurse, a company would have to spend $40,000 while an IT employee could run over $125,000. Those numbers can be hard to believe, but it’s easy to see how they add up when you think about all the expenses involved. Besides the time for HR to find and review applicants, interview candidates and go through orientation, the costs have already started to add up. Then comes the training. Even a new hire who has experience in the field will have to be oriented to how the business is managed and what their job duties entail. For those with important credentials, their training may last for a week or even a month. Some businesses even send new employees to special training in other locations. They may attend specific classes or work with certain people who can show them what they’ll be expected to do. Depending on how long on-the-job training takes, you can easily add in thousands of dollars for the trainer’s time. A Learning Management System or LMS can reduce these costs, especially in a field with high turnover rates. An LMS lets you create courses for your new employees which will orient them to your company and explain their job in detail. You can register the users and provide them with the type of content they need to get fully trained in your organization. These systems also allow you to monitor the user’s progress and even provide helpful hints along the way. You can create different types of learning content for the various jobs in your company. Each user can receive access to the content they need. You can even set deadlines for when the courses must be completed and a pass/fail grade to determine if they’ve learned the material. How Much Money Do You Save with an LMS? It can be difficult to gauge how much money a company can save by implementing an LMS in the organization. However, you can factor in the time your trainers would be spending with each new hire to reach a rough estimate. The value of having an LMS for orientation and new-hire training will go up over time. The next time you must hire for the same position, you don’t have to recreate the training or find a new trainer. The information is already available on the LMS. All you need to do is update it with any new data and give access to the new hire. Even though an LMS won’t cut out all hiring costs, it can greatly reduce the expense of training every new employee. 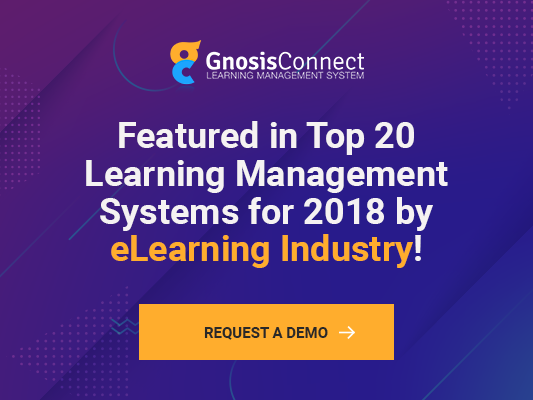 As you save money on the cost of orientation and job training, you’ll quickly understand how an LMS pays for itself with just a few new hires.